Manage demand planning for Tanzania, ensuring that forecast bias and accuracy targets are met as well as planning of stocks into Tanzania from all SU’s, in and out of Africa. Contribute to the development and maintenance of the Tanzania Customer Service Warehouse & Distribution strategy which are in line with East Africa Supply Chain. 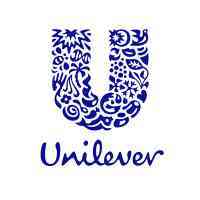 To provide better customer service in respect of order processing, distribution and ensure continuous supply and distribution of Unilever products to all its customers on time and in full at a minimal distribution cost. Drive initiatives and innovation in customer service and distribution that aim at improving the customer service offering at the same time reduce overall distribution cost. • Responsible for SHEQ in DHL, at CSO Tanzania operational areas. • Manage credit notes, ensuring speedy resolution and also following up on set up rules. • Monitor Deliver costs in Tanzania both for warehousing and transportation. Drive down cost to the business while continuously improving Customer Service offering (Deliver Savings Projects). • Drive and embed ‘Correct 1st Time’ culture to Invoice cycle (Perfect order, Invoice accuracy). Contribute to overall business strategy, specifically in the area of Supply Chain and Customer development strategy. • Implement supply chain systems to support planning and logistics activities. • Collaborate with Customer Development to develop customer segmentations. Also working with CD to create business value and drive growth through meeting, servicing and delivering specific needs of each customer. • Drive and deliver Customer Service Excellence performance through the implementation of order to cash and distribution strategy, work closely with Logistics providers and management of distribution facilities. • Recommend appropriate Customer Development change programmes and policies. • Negotiate and obtain approval for 3P Warehousing, Distribution and Logistics contracts. • Drive initiatives to improve efficiency in Order to Cash cycle. • Initiate and ensure effective execution of customer service and distribution processes, policies and organisation. • Ensure customer service and distribution processes, policies and organization integrates effectively with upstream (CD, demand planning, supply planning, category management, supply chain development) and downstream processes (financial account). • Review key customer service’s performance expectations with customers and ensure their needs are communicated internally. • Advise and keep superiors informed of any serious operational issues. • Business Studies at Degree Level. • At least 7 years’ experience in planning, logistics and warehousing from a manufacturing sector. • Experience working with regulatory bodies in Tanzania. • Innovative, thinking outside the box.